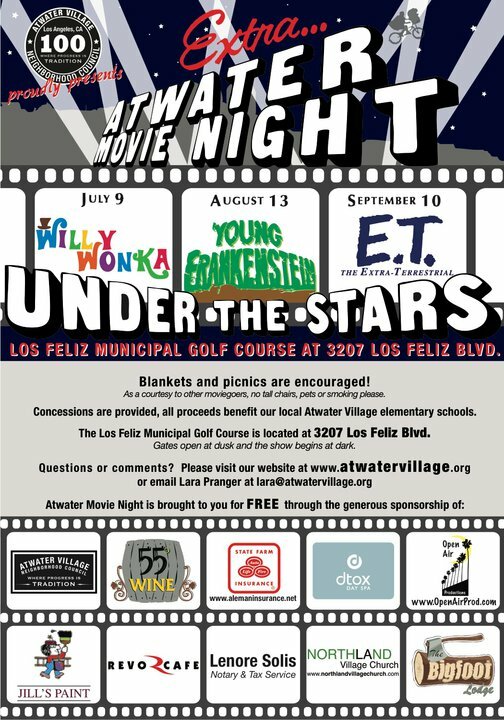 SEE SOME CLASSICS this summer under the stars of Atwater Village. The annual movie series takes place at the Los Feliz Municipal Golf Course, 3207 Los Feliz Blvd., where blankets and picnics are encouraged, but tall chairs, pets and smoking are rightly shunned. Gates at dusk, showtimes at dark. BASED ON THE round-the-lot blockbuster success of a recent visit from the Grilled Cheese Truck, 55 Degree Wine announces a summer month's worth of gourmet food trucks coming to the parking lot at 3111 Glendale Blvd. above, with wine and beer pairings in the cool basement tasting room below. SHOT IN Atwater Village, the new fiction short film, "Through the Window," is written and directed by Regina Gomez, and features the song "Pray for Death" by Pawz1. The cop, played by Gomez, shows up at the 4:30 mark to deliver the twist ending. 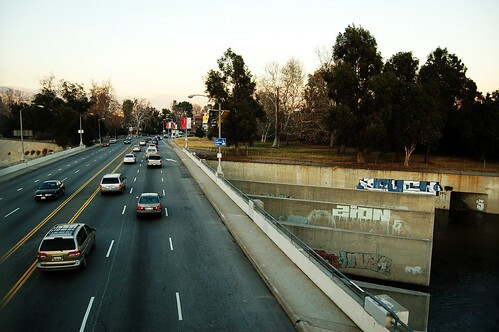 "It's like having a city official in your pocket," said John Chuldenko, who recently used the app to report graffiti he spotted while strolling through his Atwater Village neighborhood. He was floored when the graffiti was gone a week later. "I've never been the type to report all these things," Chuldenko said. "But now that it's so easy, I do it all the time." In addition to council district 13 residents using the "Garcetti 311" iPhone app, citizens all over LA can report graffiti and other city government issues the old-fashioned way by calling 311. THE GOURMET FOOD truck Vizzi (menu, tweets) rolls into Atwater Village for pre-show dining before the Saturday night performance of "Tick Tock" at Atwater Playhouse, 3191 Casitas Ave. Truck's at 6:30pm, play's at 8:00pm (tickets $15). A VICTIM OF the United States Postal Service posts on the AVNC forum: "Is anyone else having problems with our mailman (south Atwater)? 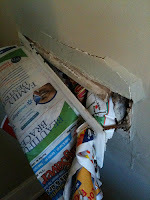 Today I arrived home to find our mailbox completely destroyed inside the house. This is because he continues to forcibly jam as much mail as possible into the small mail slot at once, rather than a few pieces at a time (like a normal person would). I get that he has a lot of houses to visit, but a little patience on his part would have saved me from having to replace my mail slot and fix the interior wall. I'm going to complain to the postmaster (for whatever good that'll do), but wonder if others have a similar experience so I can be armed with more information." 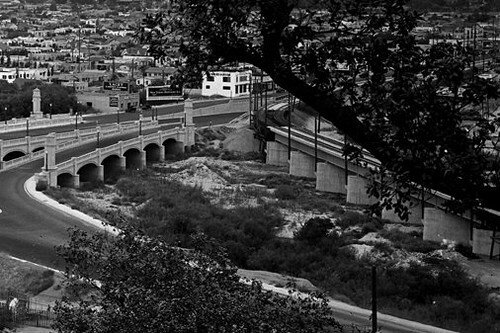 Tracks Into Atwater Village, 1927, originally uploaded by Atwater Village Newbie. REMINDER: The Atwater Village Centennial Street Festival, marking 100 years since a field of poppies became a genuine subdivision (named after Harriet Atwater Paramore), is Sunday, June 13, 2010, 11:00am to 4:00pm in the 3100 block of Glendale Blvd. Expect the usual: food, music, dance, arts, crafts, family fun, entertainment, all your neighbors out and about. Grilled Cheese Truck, originally uploaded by Atwater Village Newbie. THREE LINES tonight: one to order @grlldcheesetruk, two to pickup @grlldcheesetruk, three for table @55degreewine. 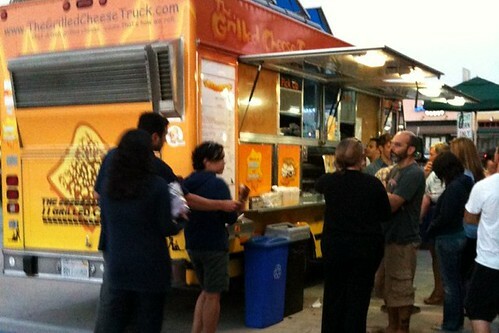 Wednesday June 9, 7:00pm to 9:00pm: The Grilled Cheese Truck is parking at 55 Degree Wine, 3111 Glendale Blvd. Saturday June 12, 8:30pm: Famous actor Joel McHale introduces a performance of Violators Will Be Violated, Atwater Village Theatre, 3269 Casitas Ave., and hosts a party to help send the show to the New York International Fringe Festival this August. Sunday June 13, 11:00am to 4:00pm: Atwater Village Street Festival, celebrating neighborhood's centennial, 3100 block of Glenadale Blvd. Sunday June 13, 11:30am: Return of the Homemade Cookie Contest (check out 2007's winner) during the Atwater Village Street Festival, 3100 Block of Glendale Blvd. Prizes awarded at 1:30pm. 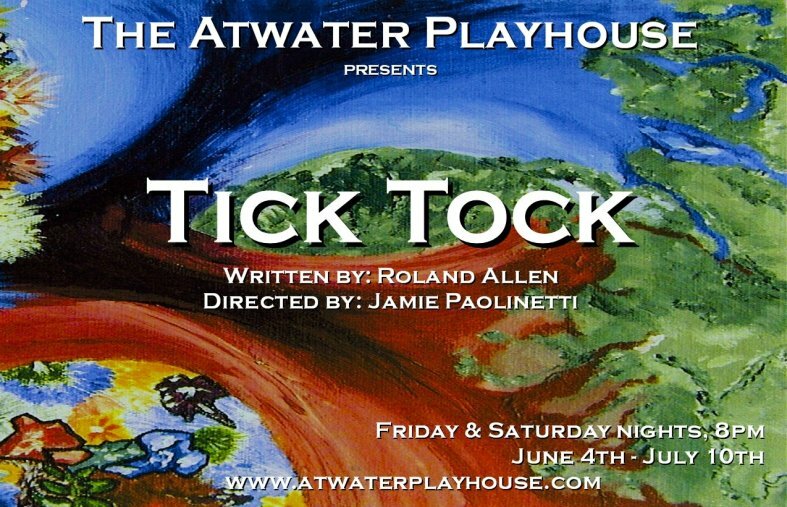 OPENING THIS weekend: Atwater Playhouse, 3191 Casitas Ave., presents the world premiere of Tick Tock, written by Roland Allen and directed by Jamie Paolinetti, running Fridays and Saturdays, June 4 to July 10, 8:00pm. (Extra matinee Sunday, July 11, 3:00pm.) General admission tickets are $15 each, $10 each for seniors and students.